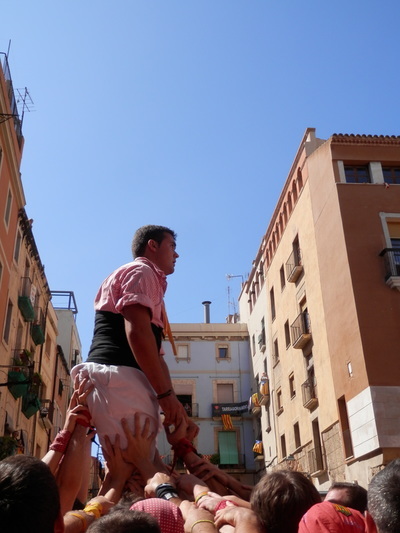 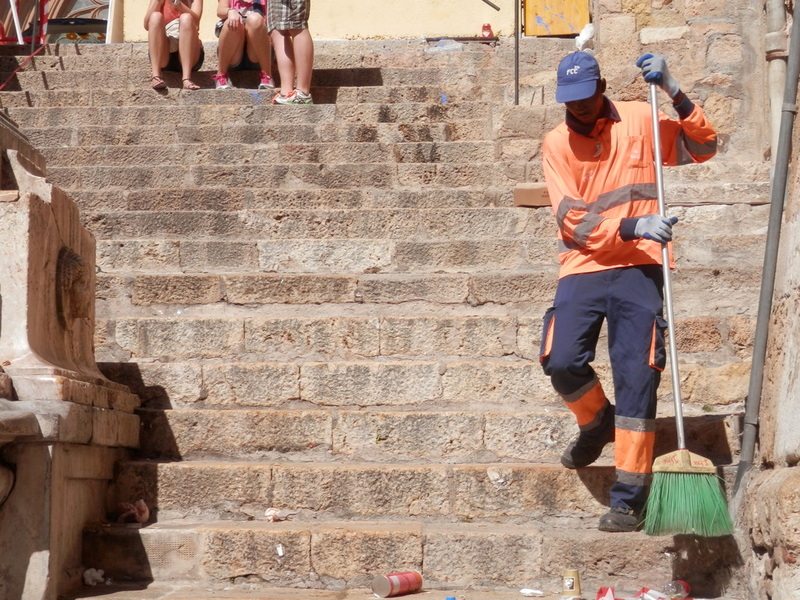 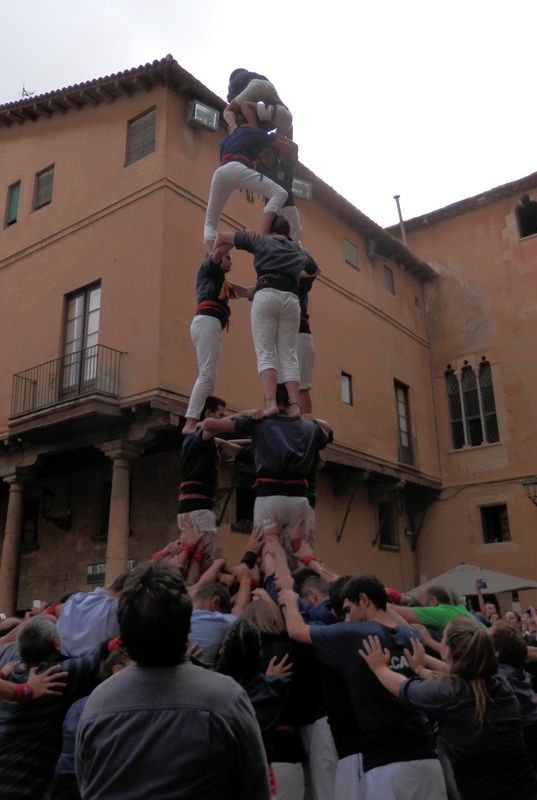 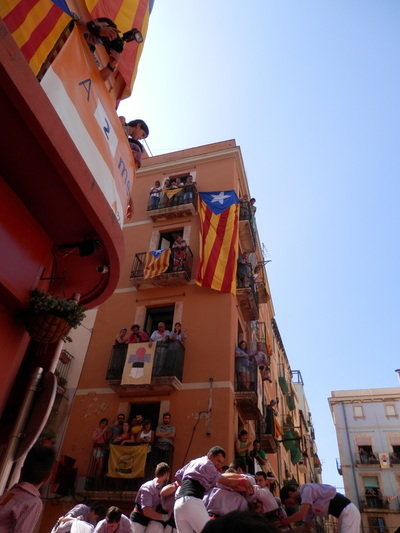 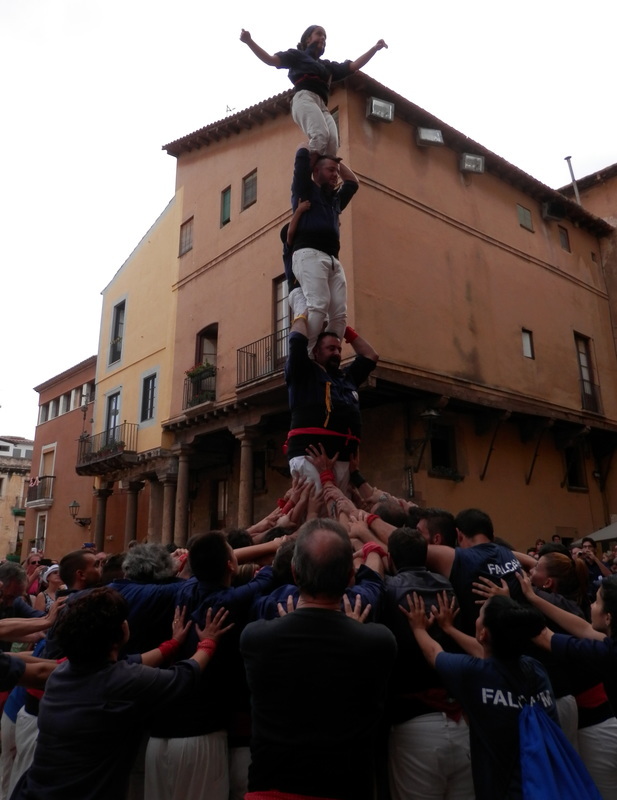 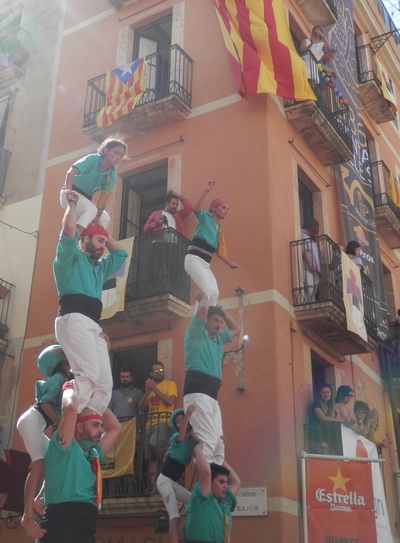 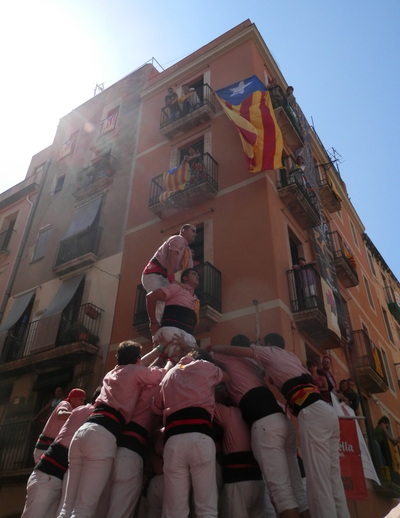 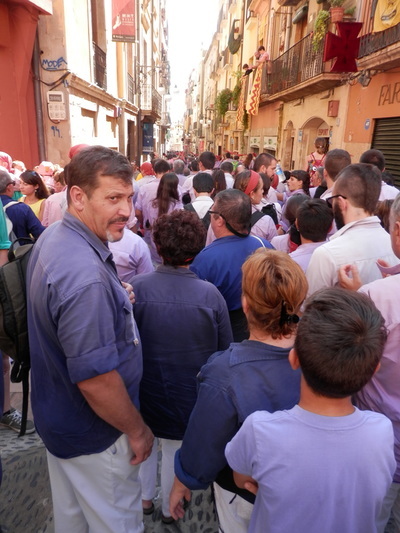 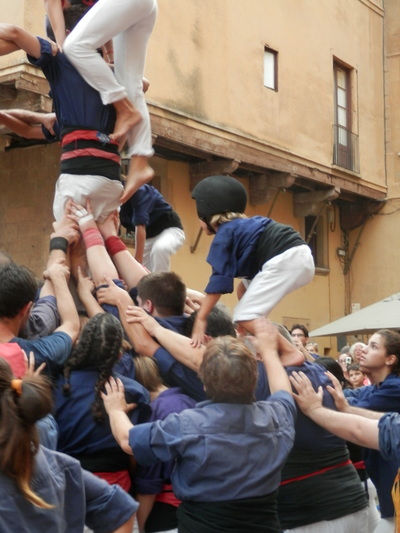 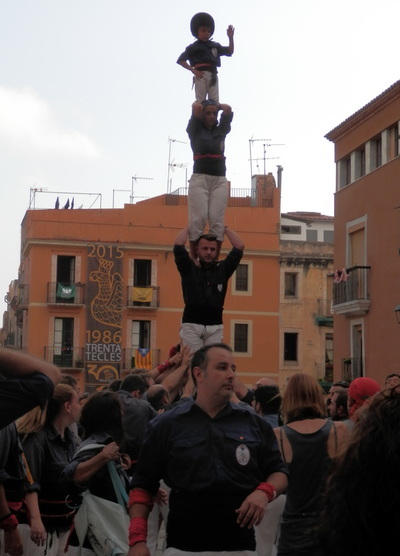 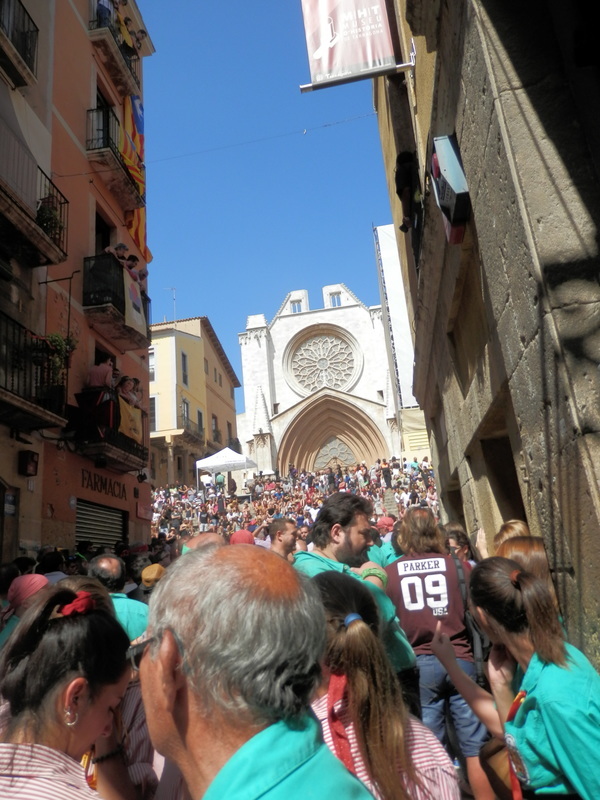 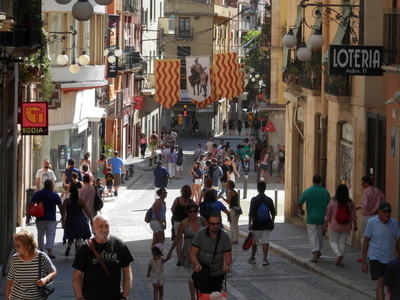 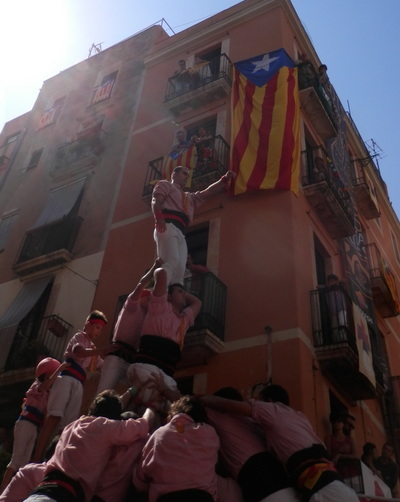 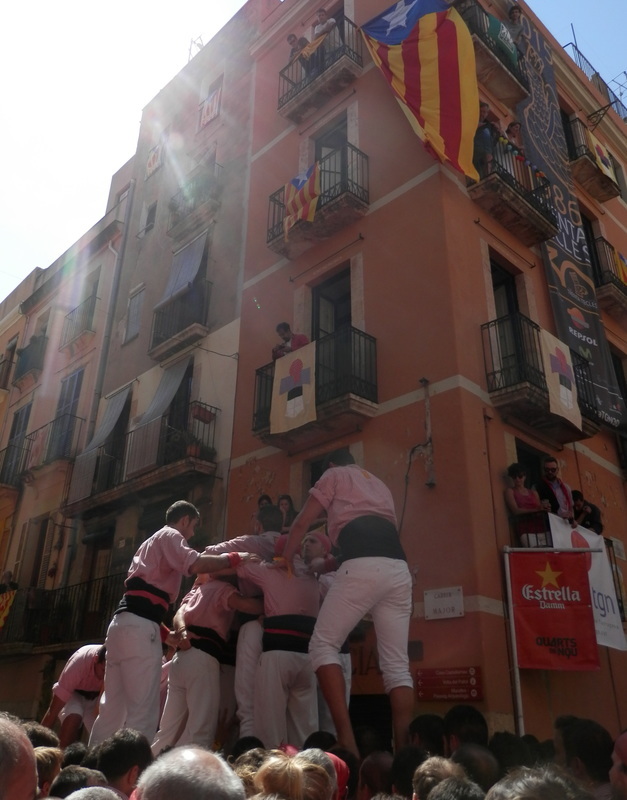 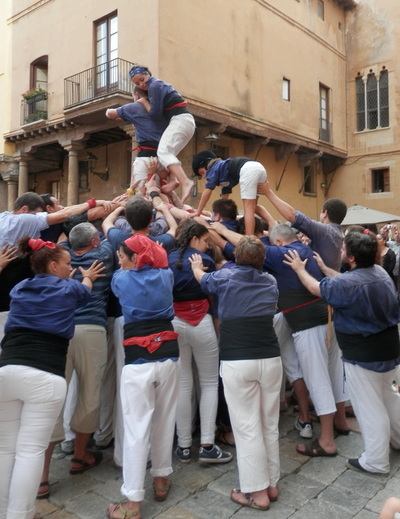 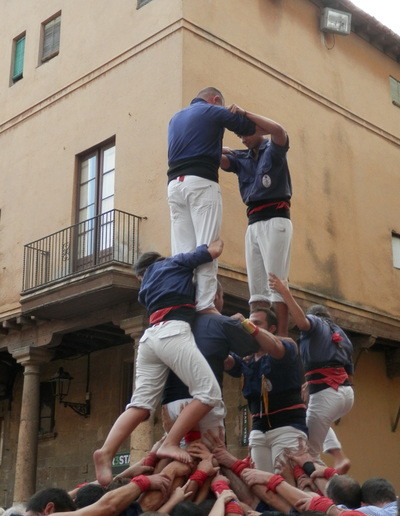 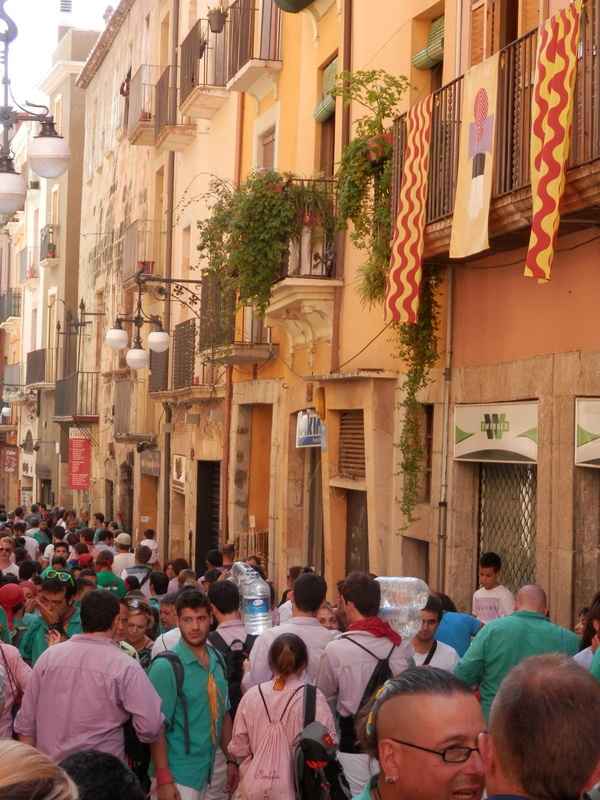 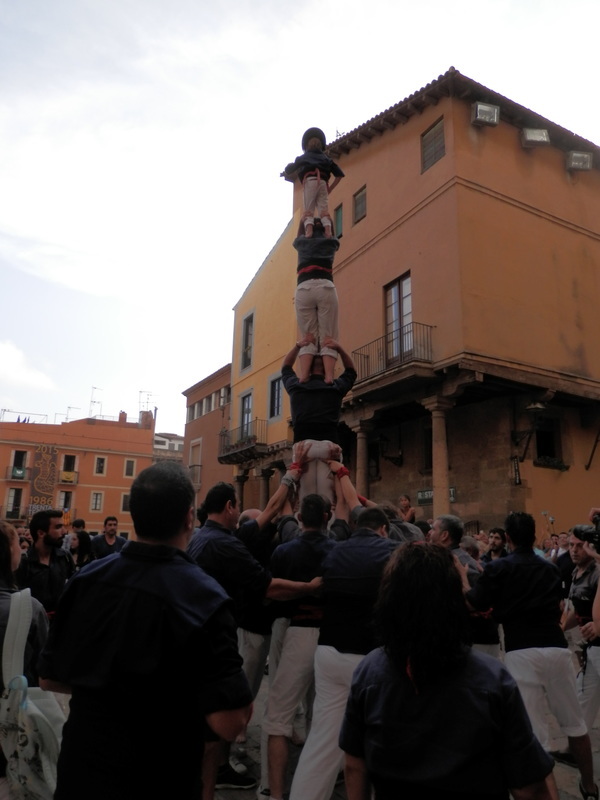 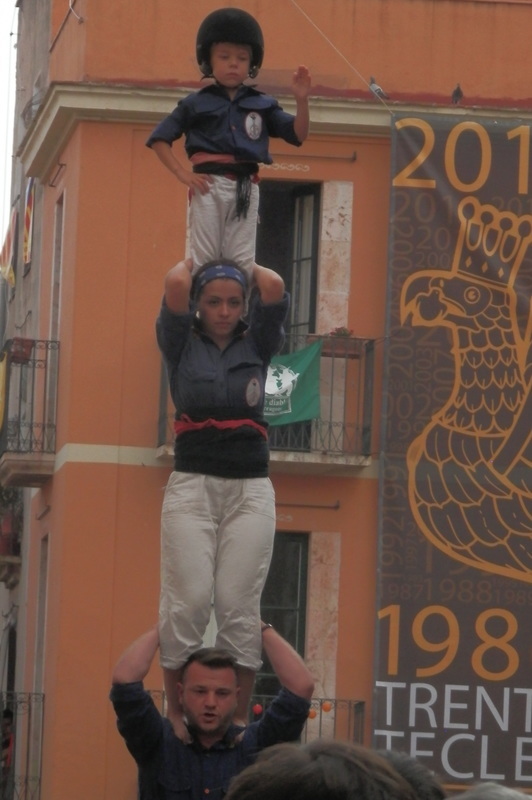 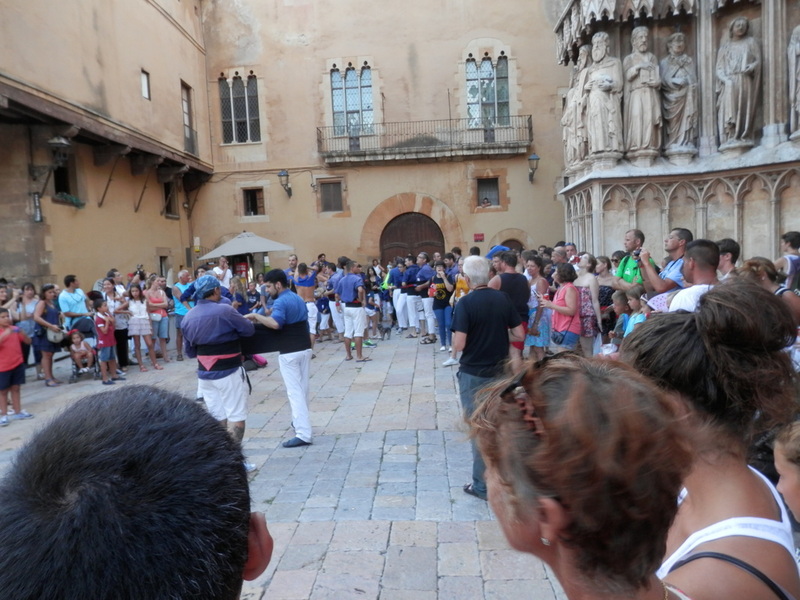 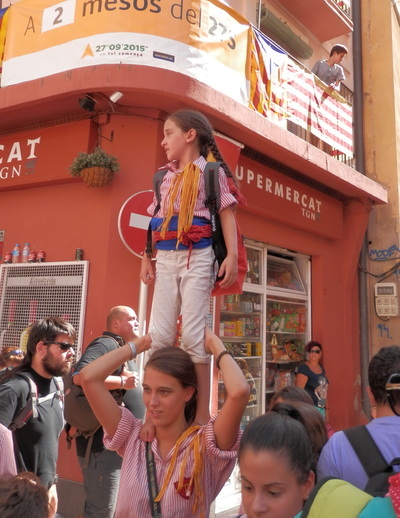 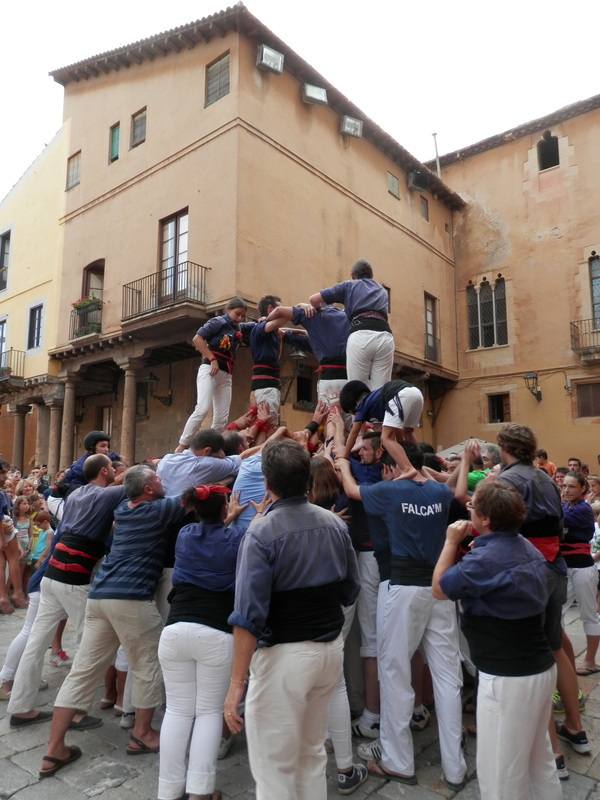 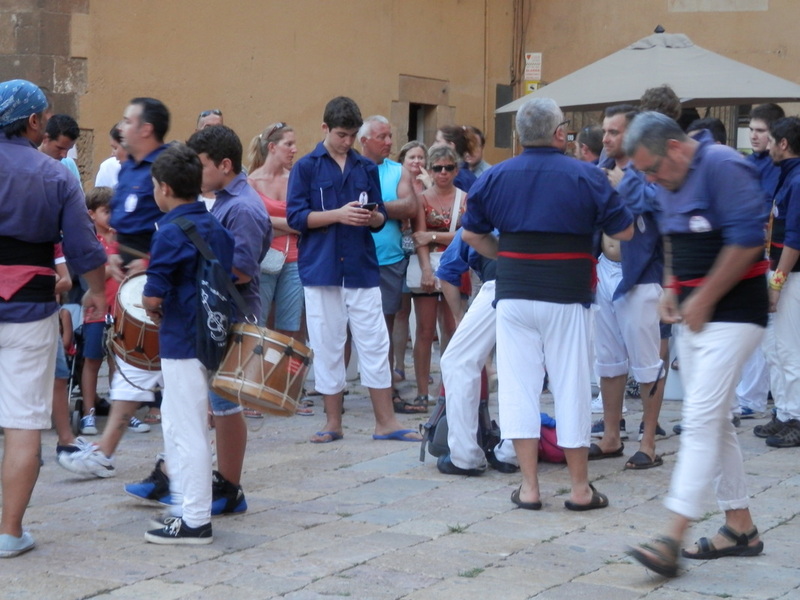 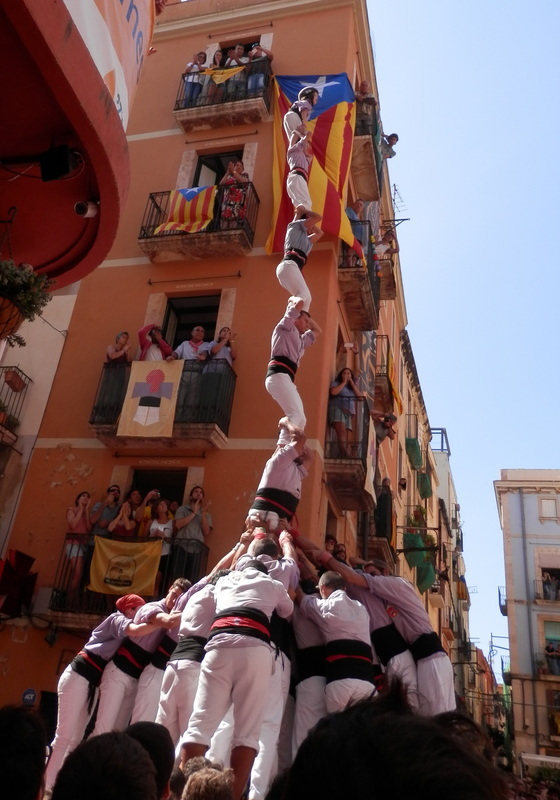 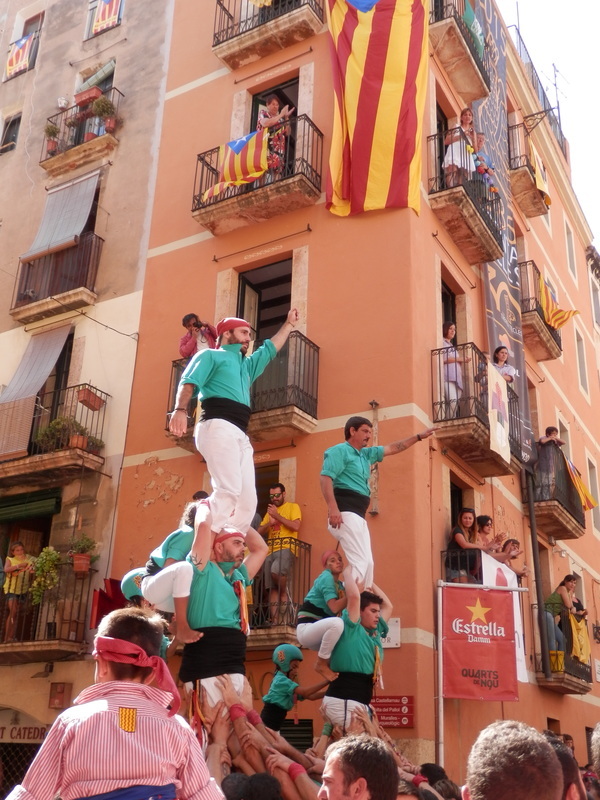 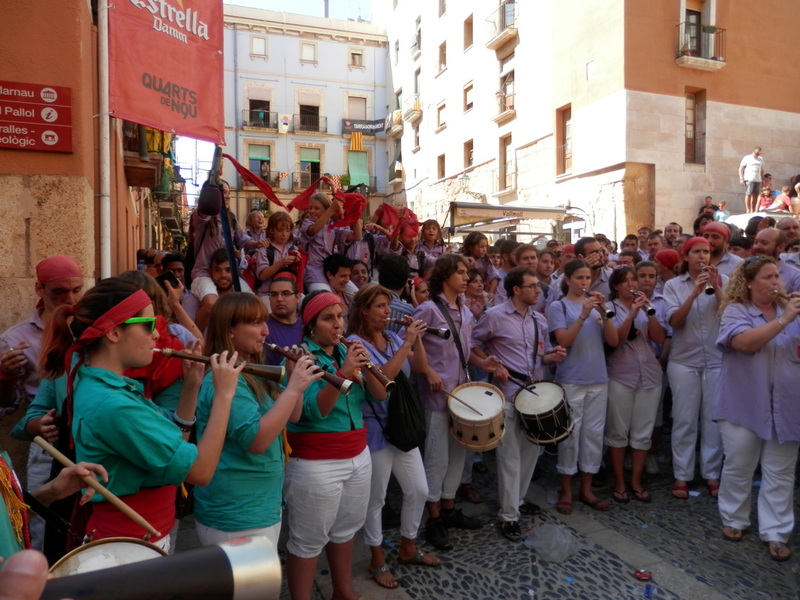 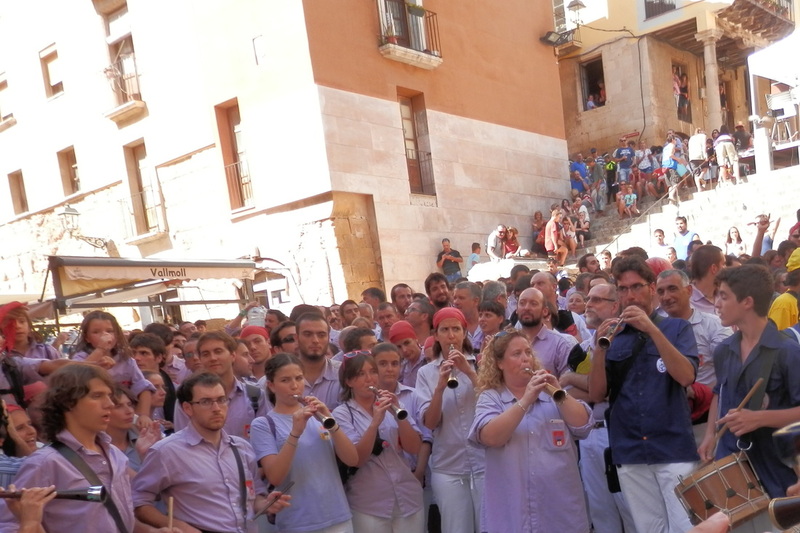 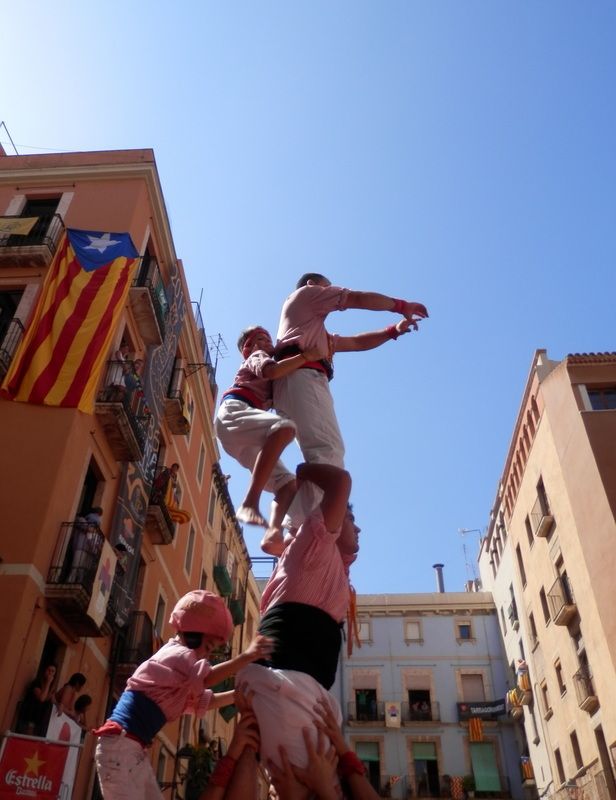 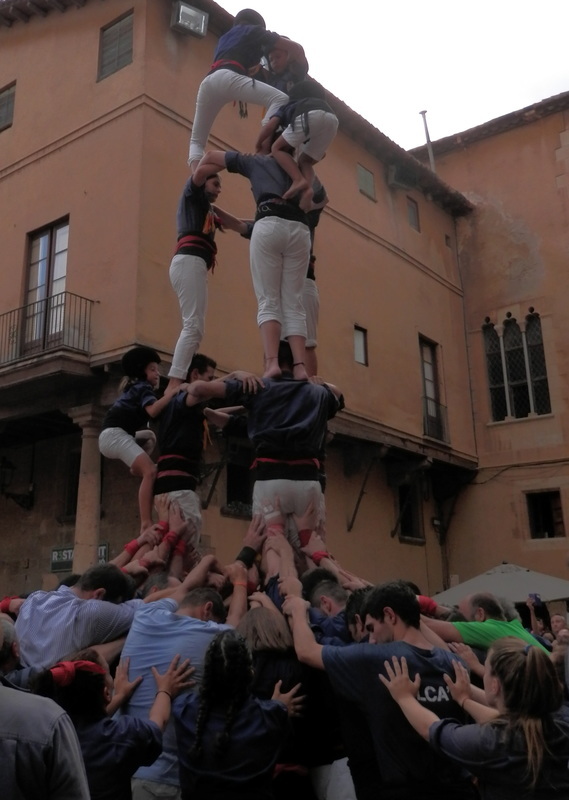 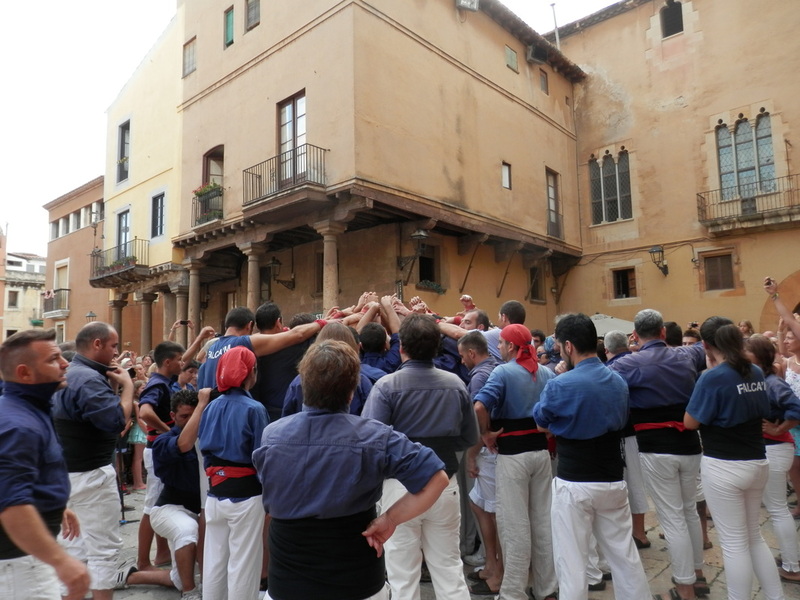 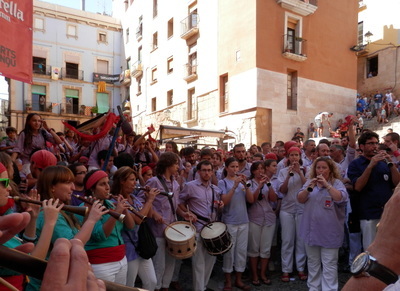 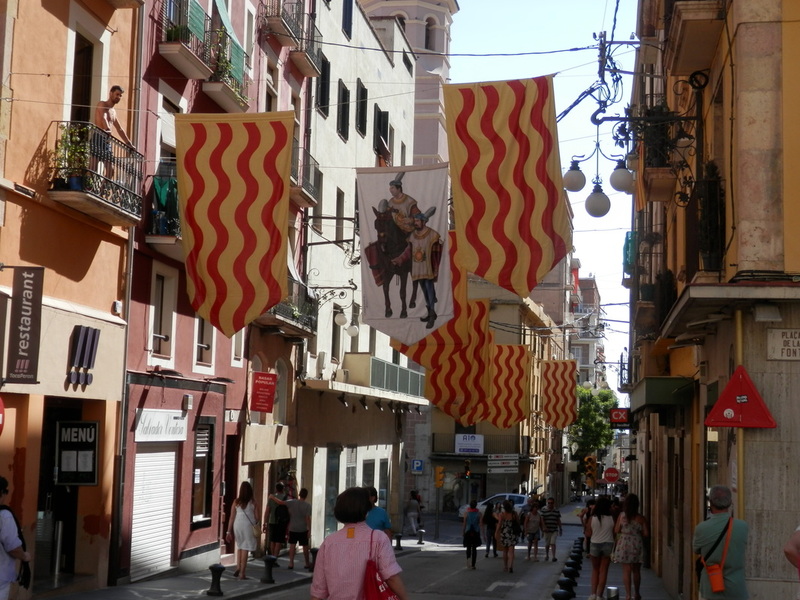 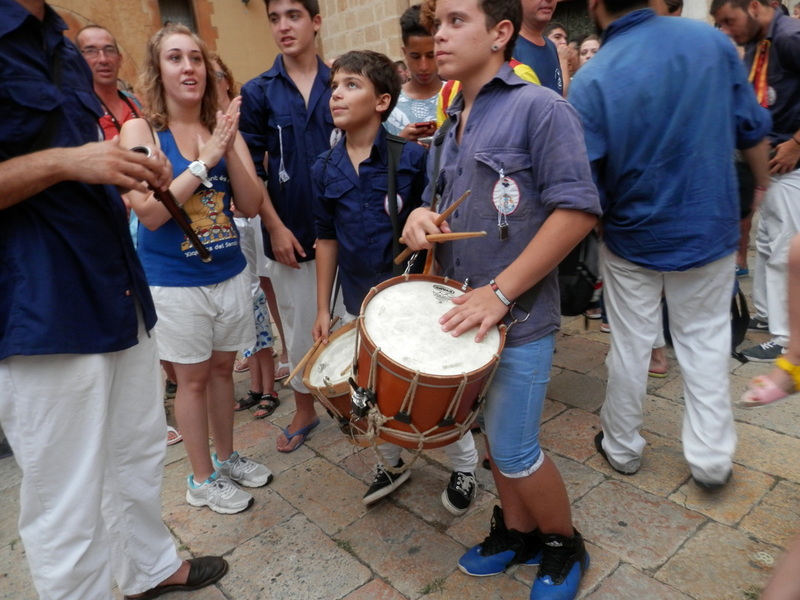 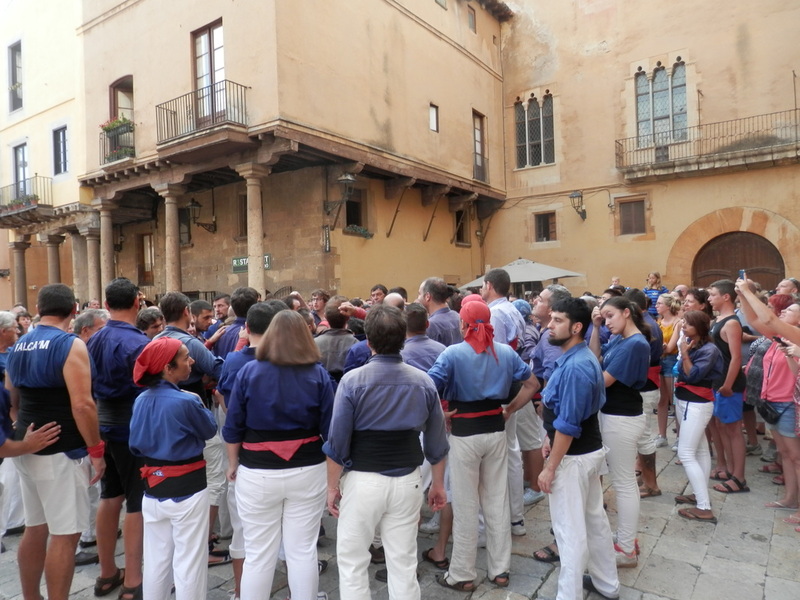 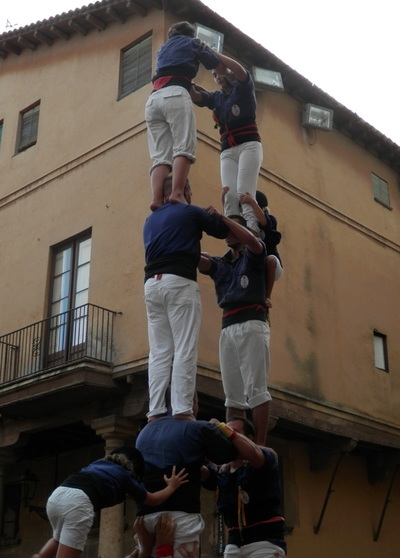 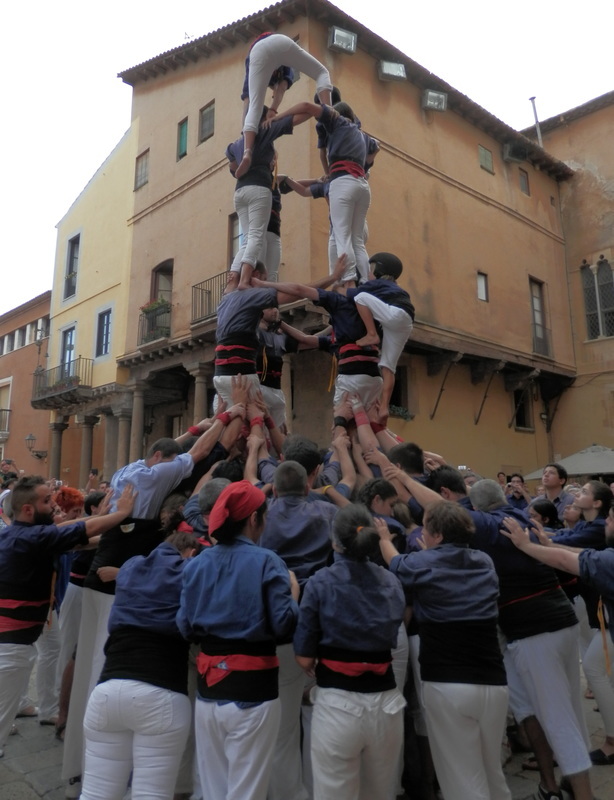 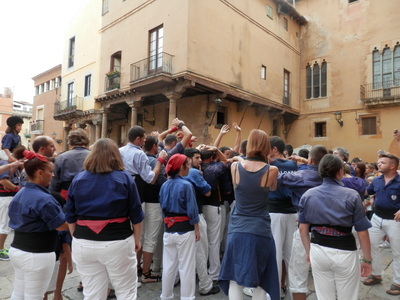 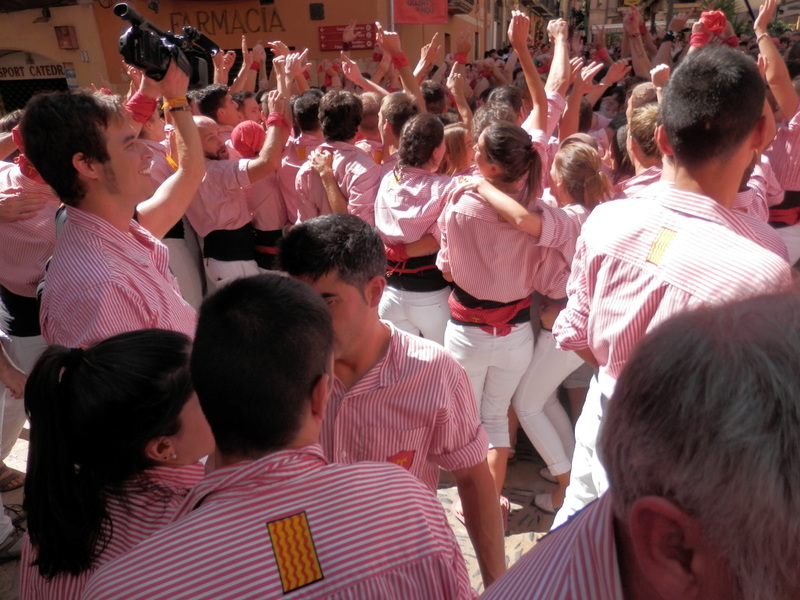 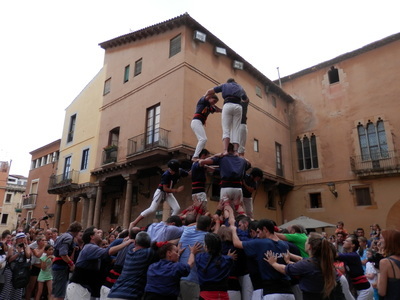 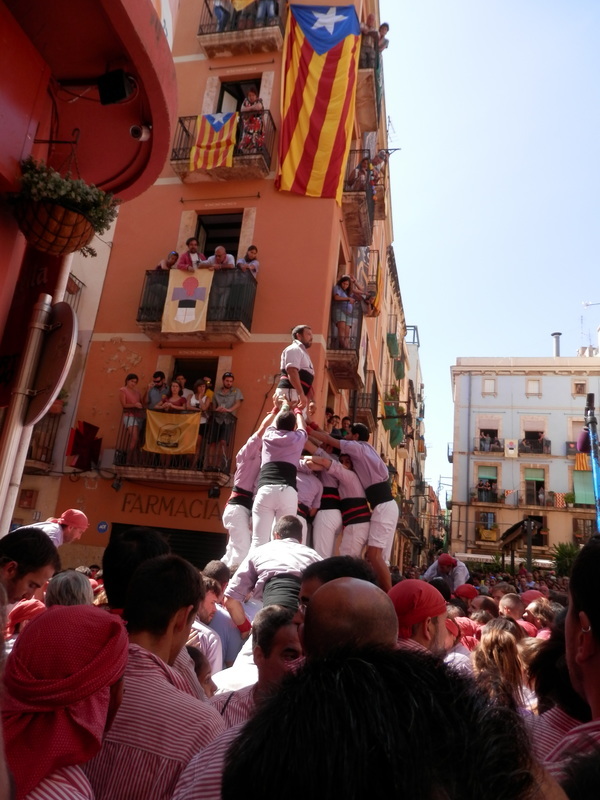 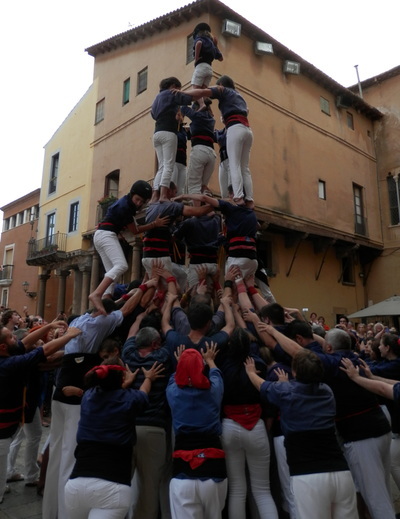 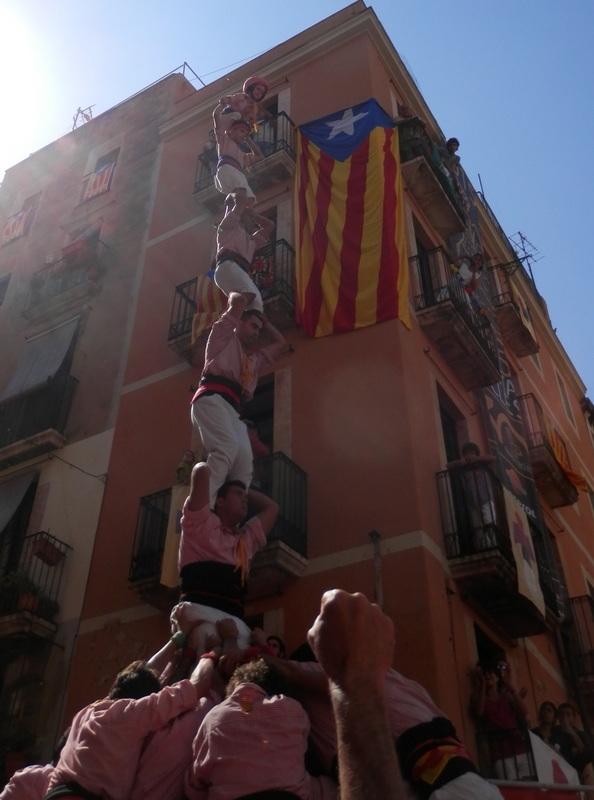 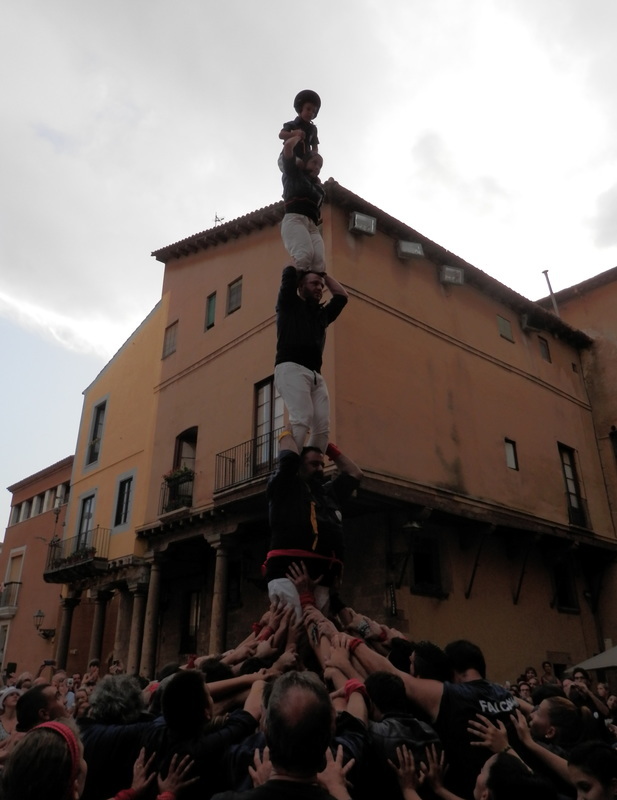 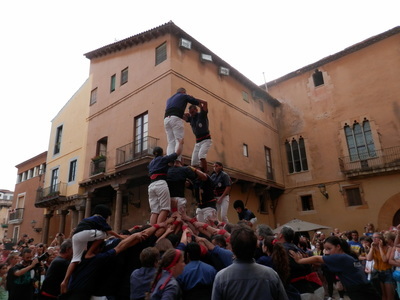 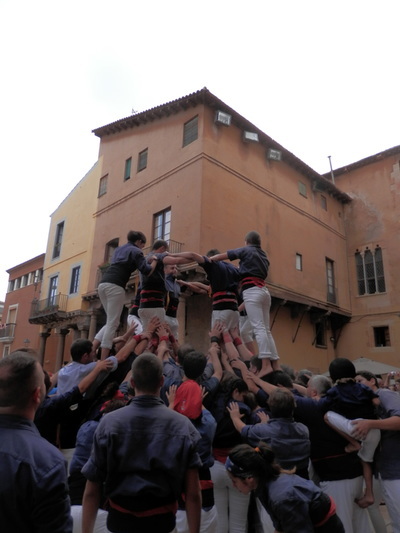 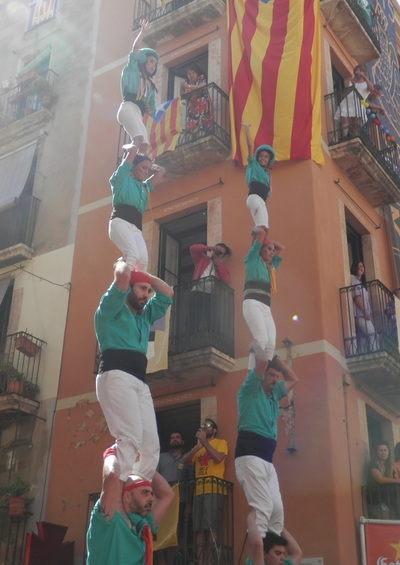 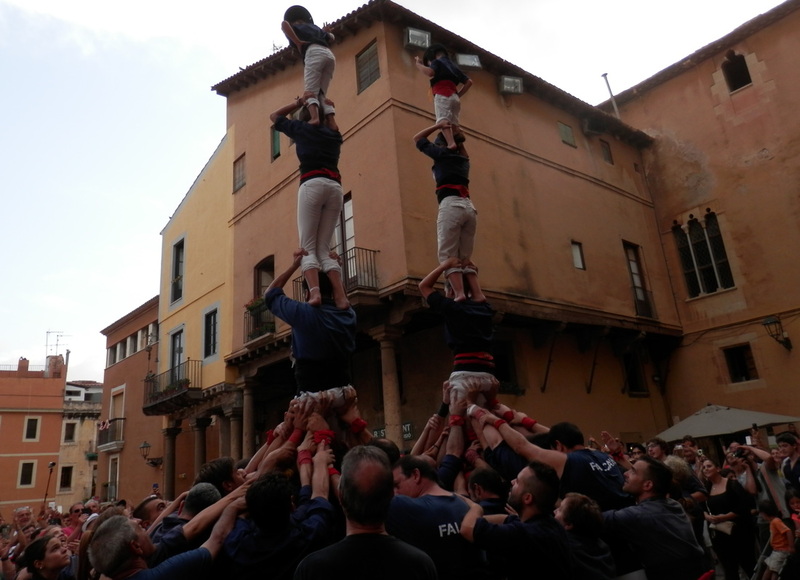 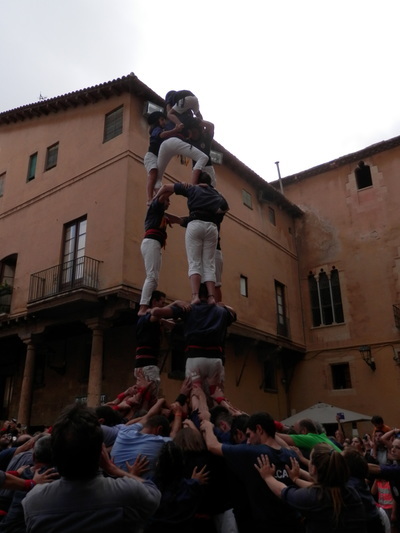 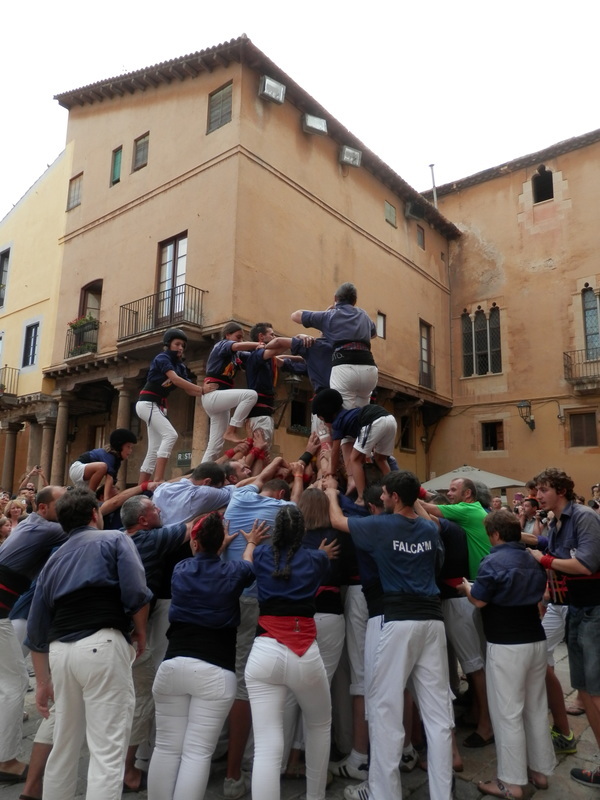 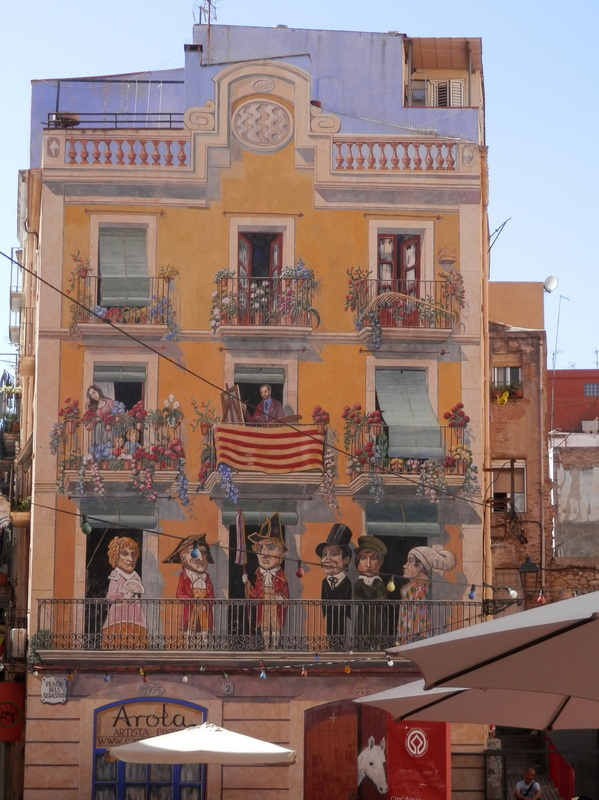 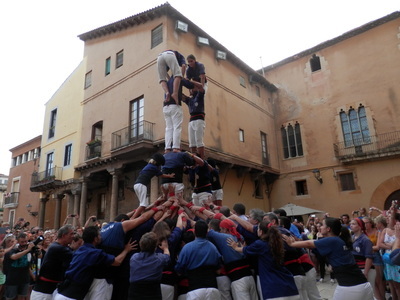 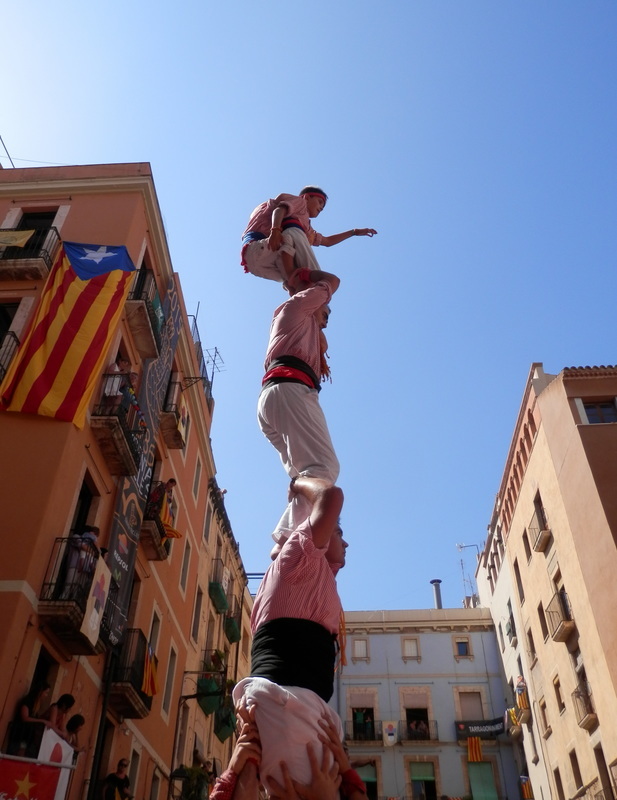 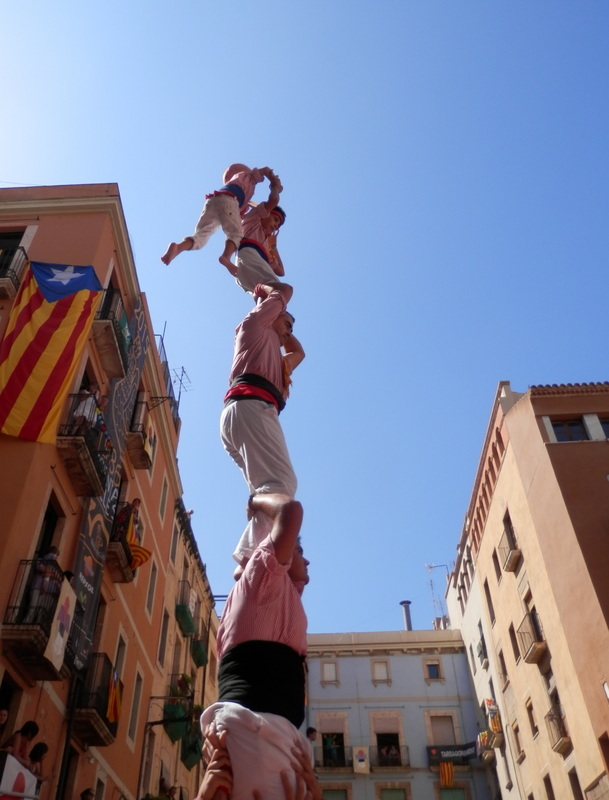 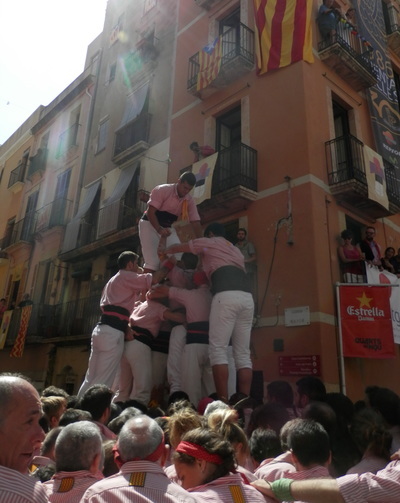 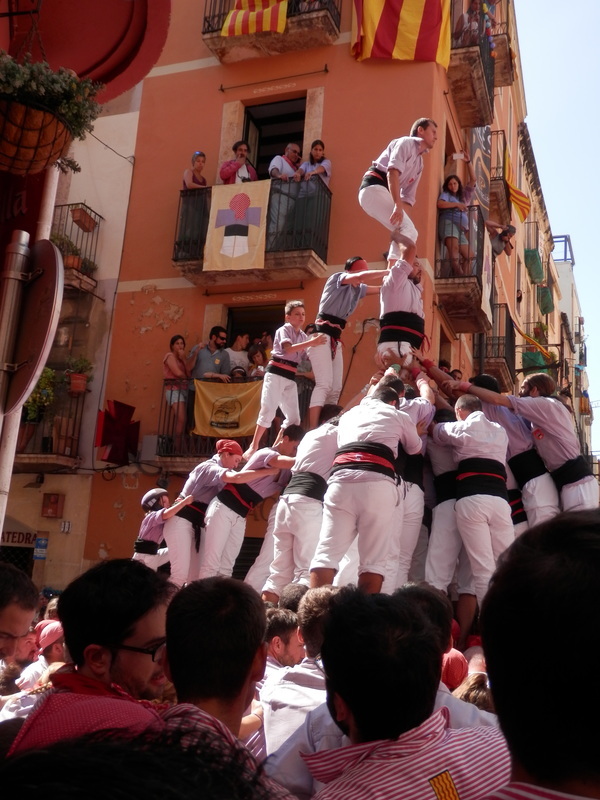 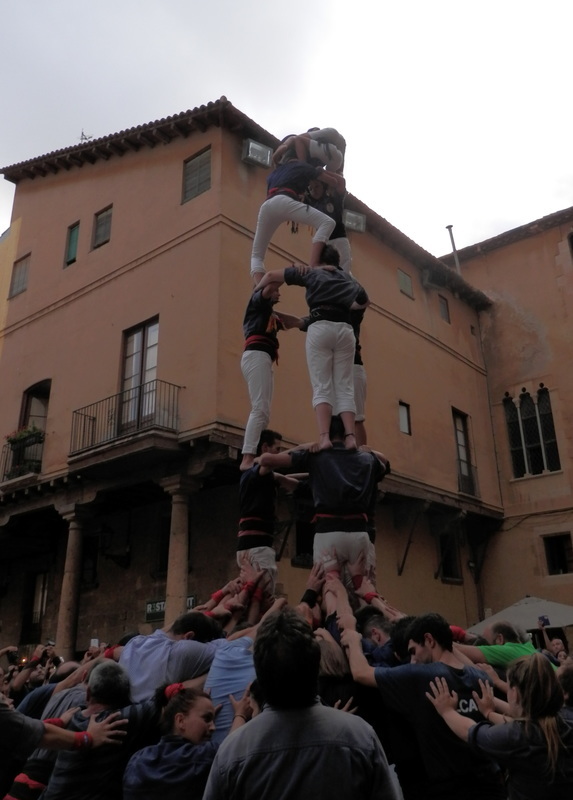 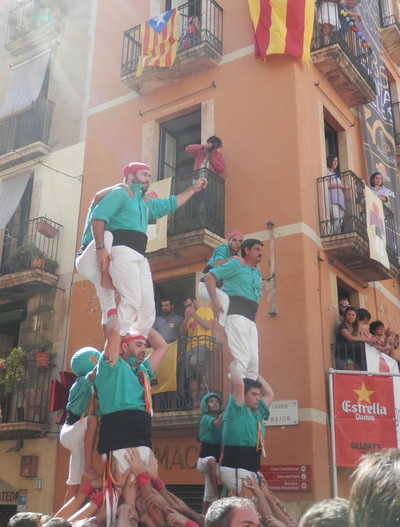 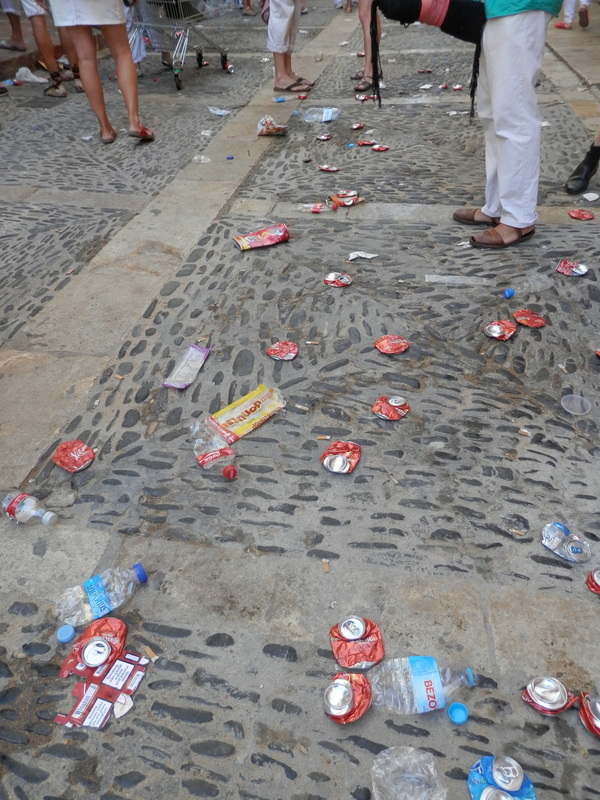 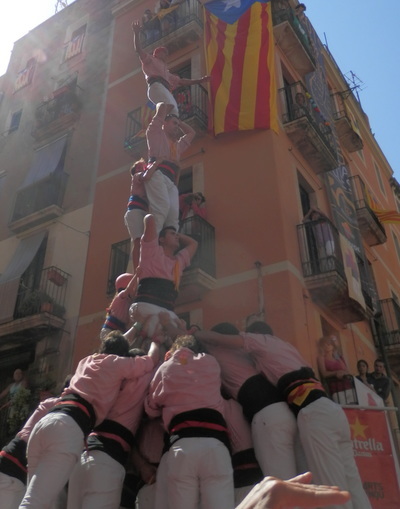 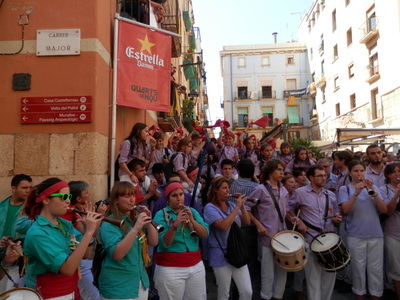 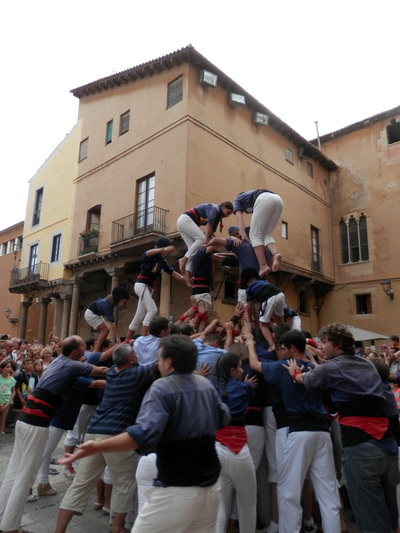 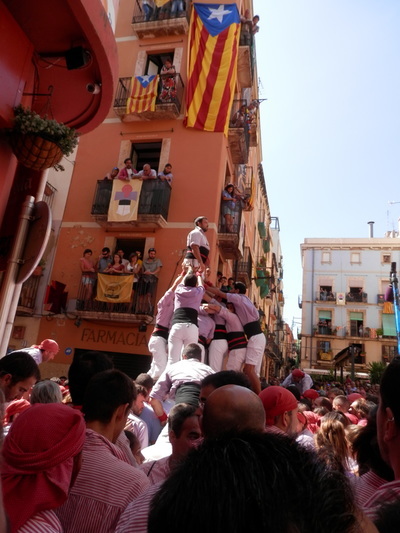 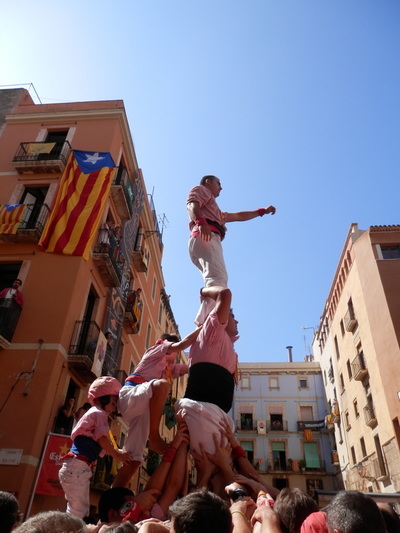 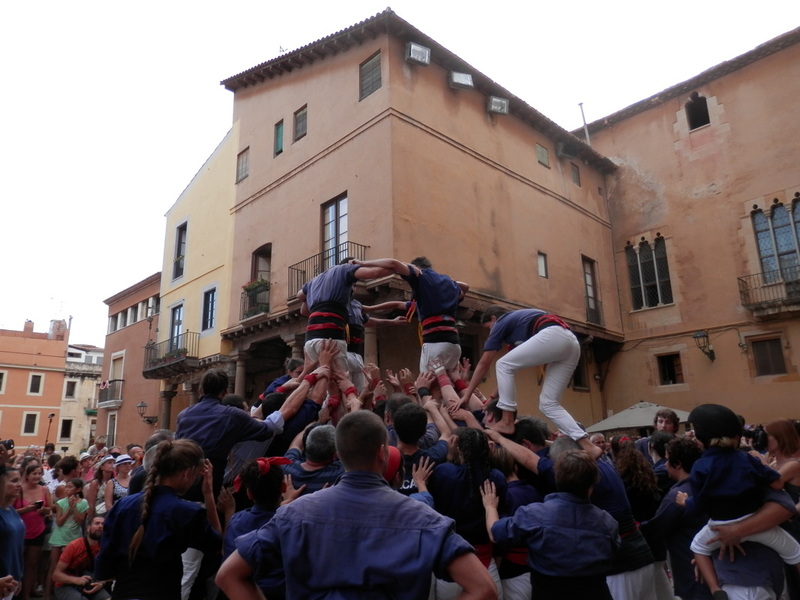 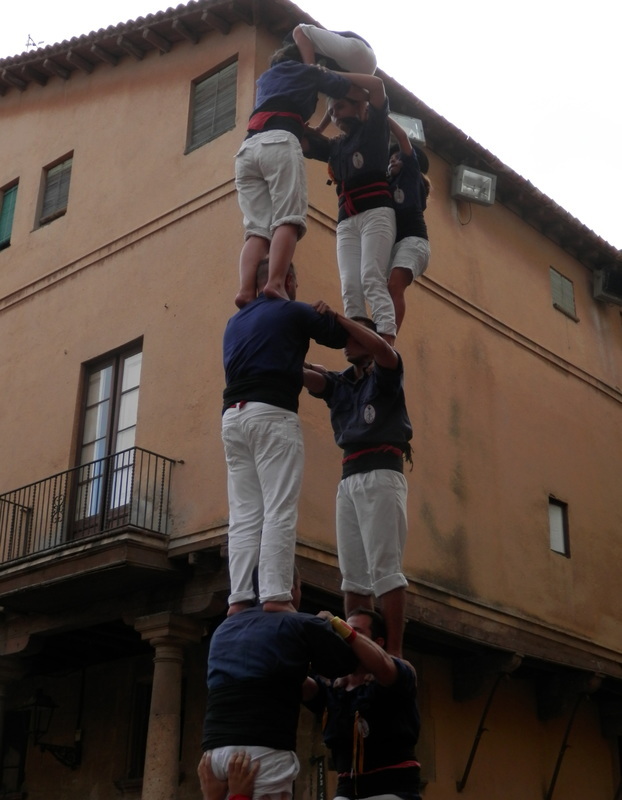 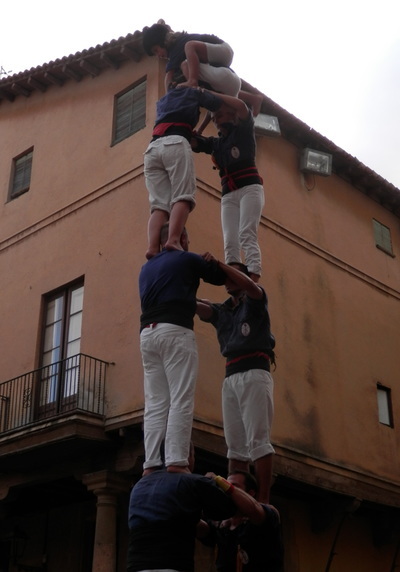 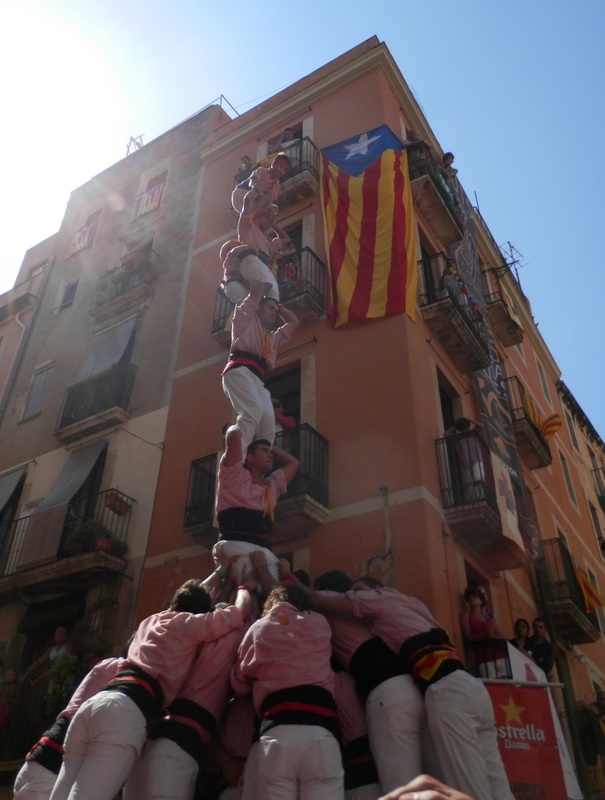 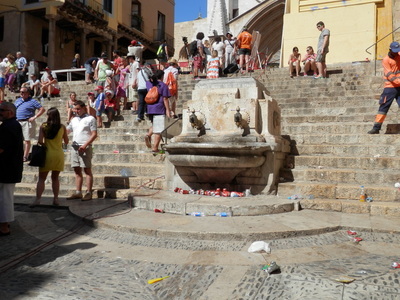 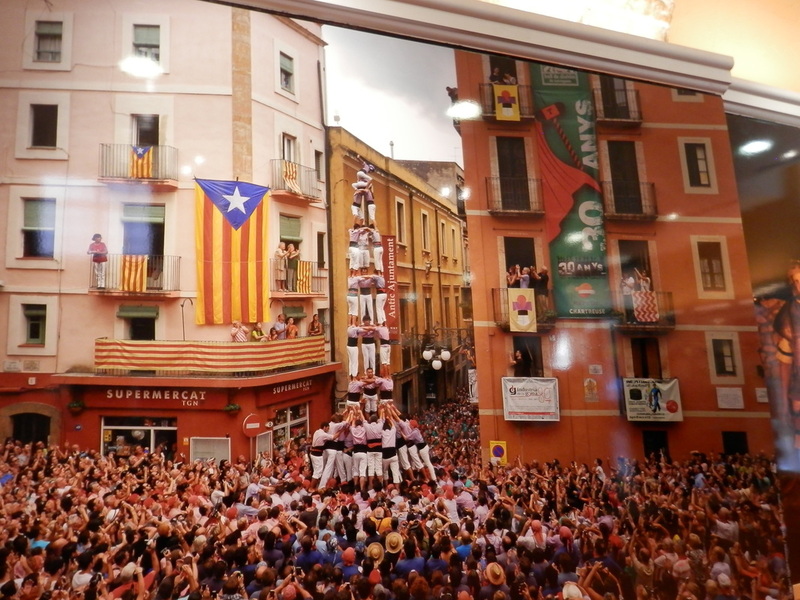 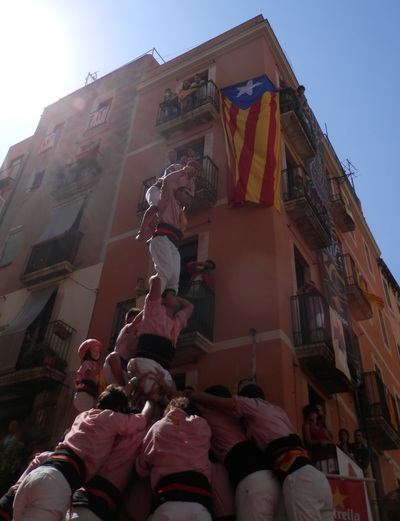 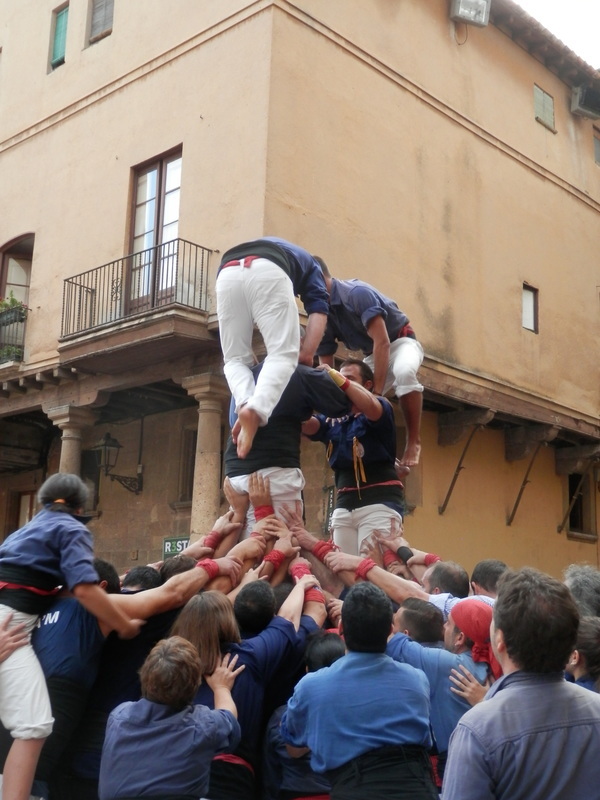 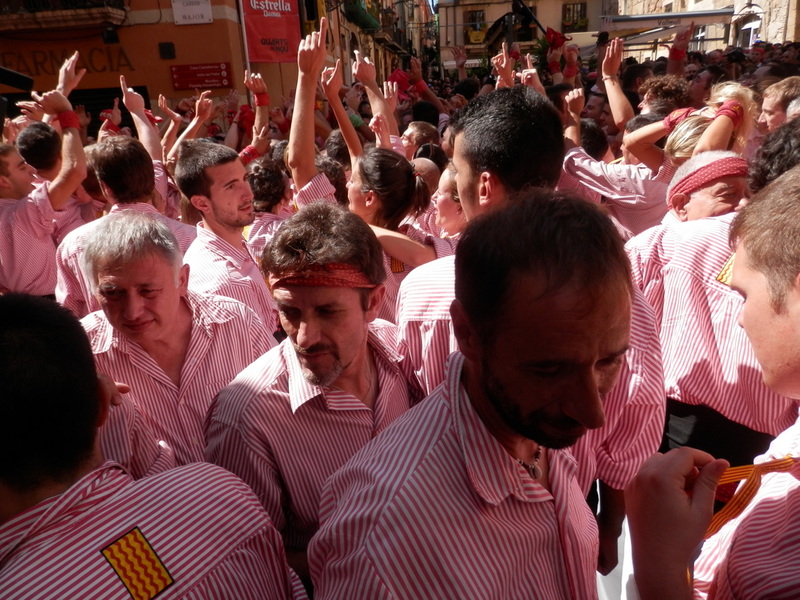 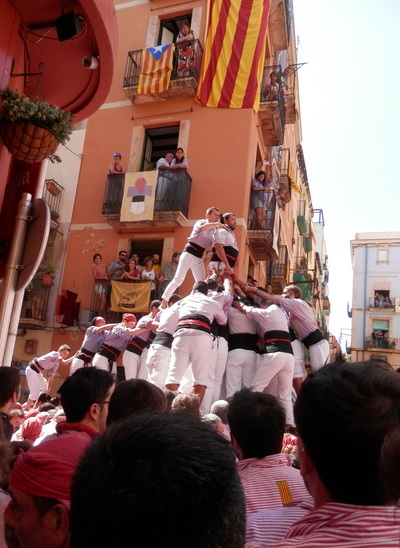 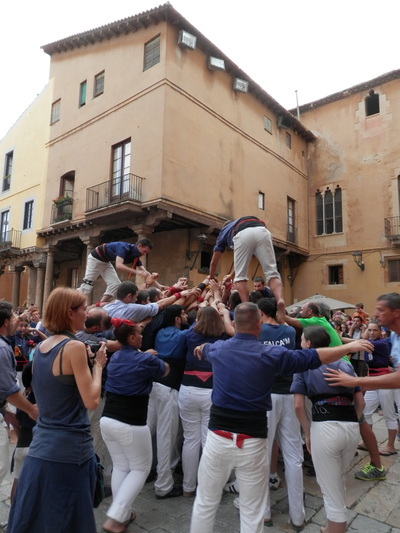 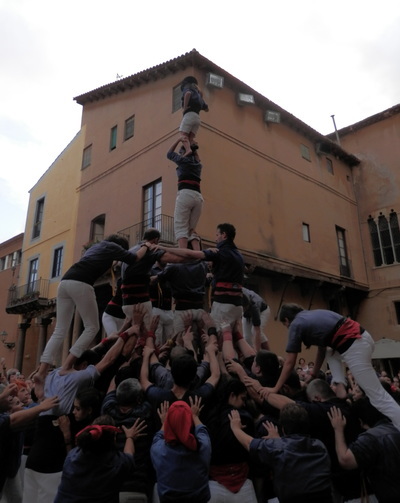 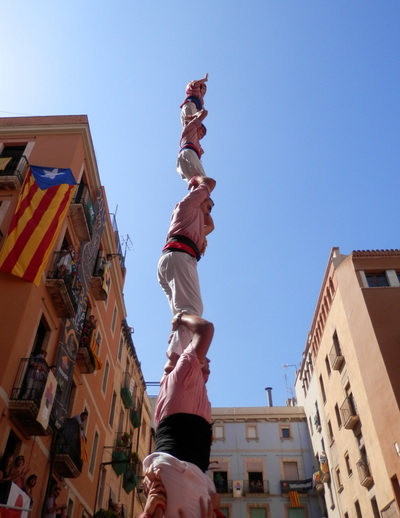 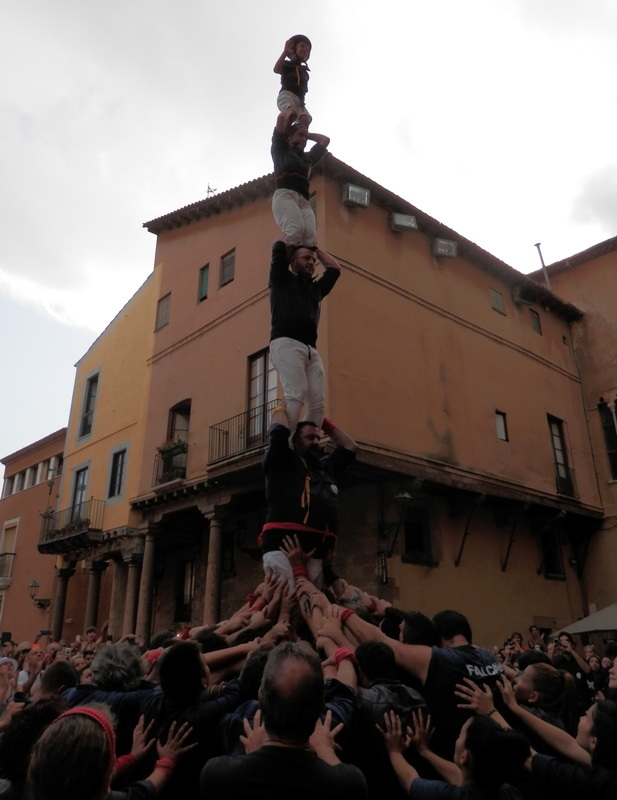 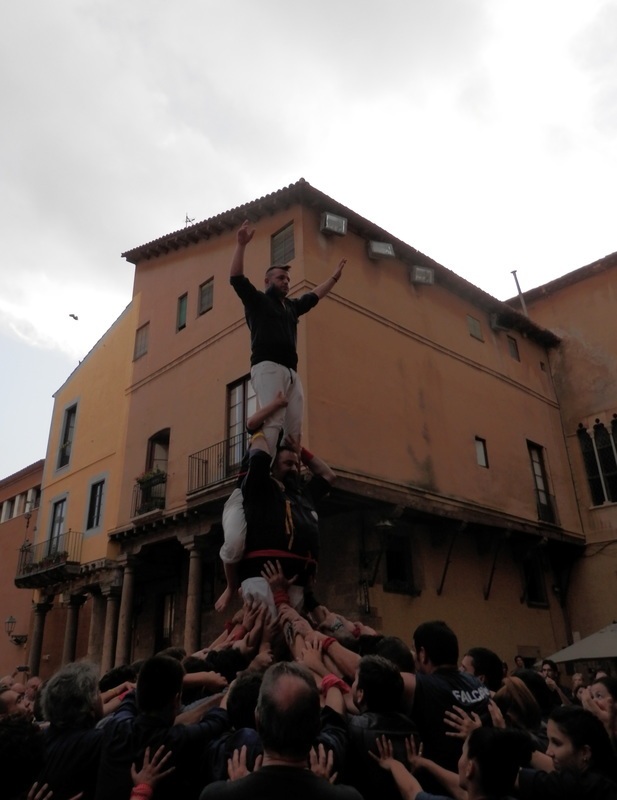 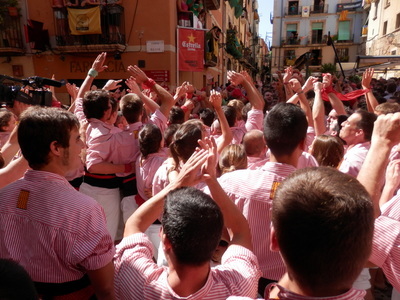 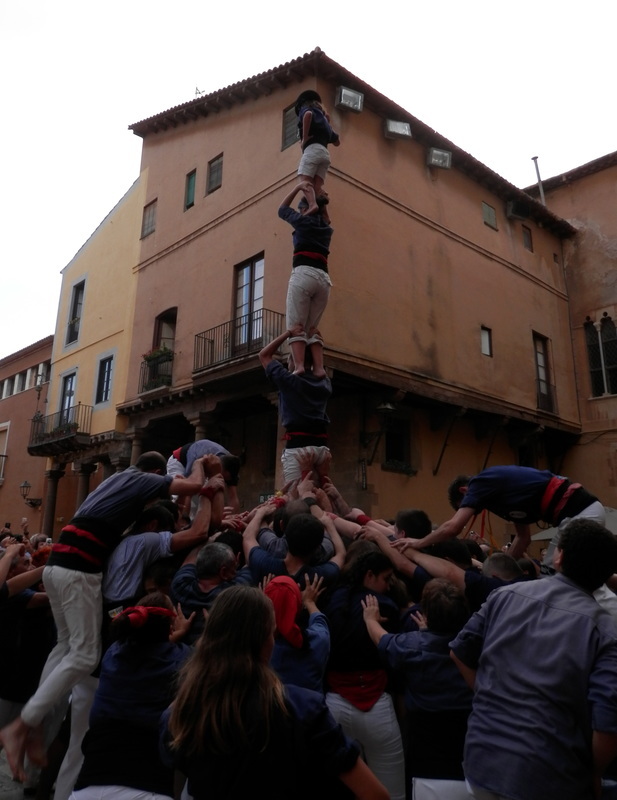 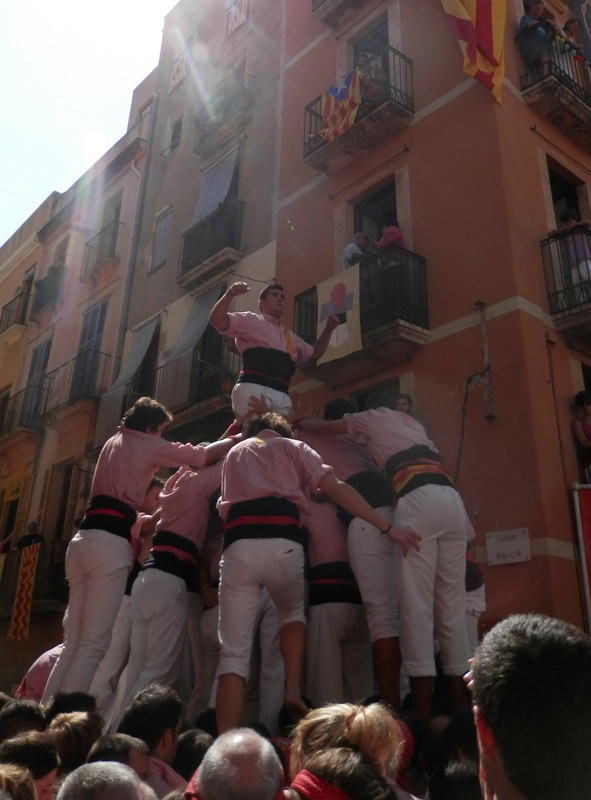 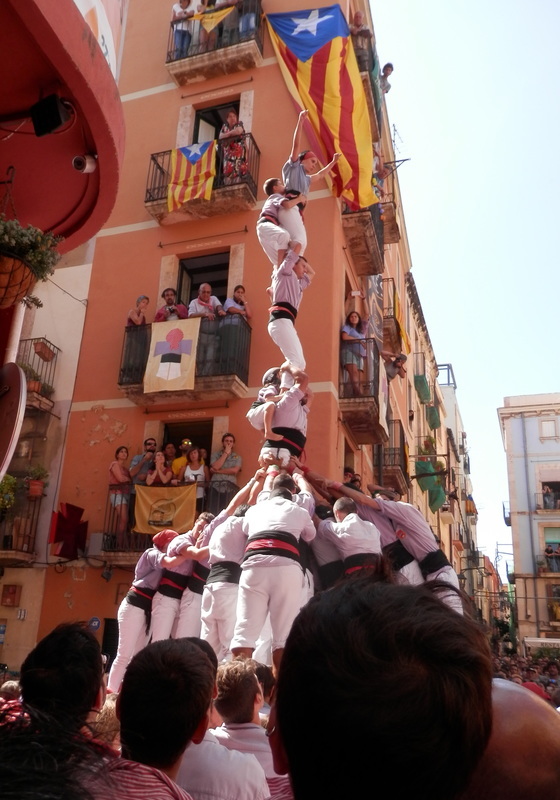 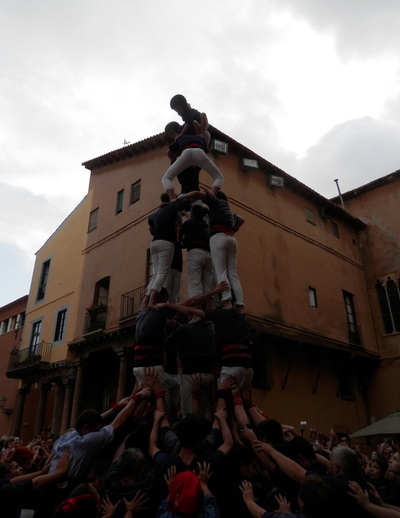 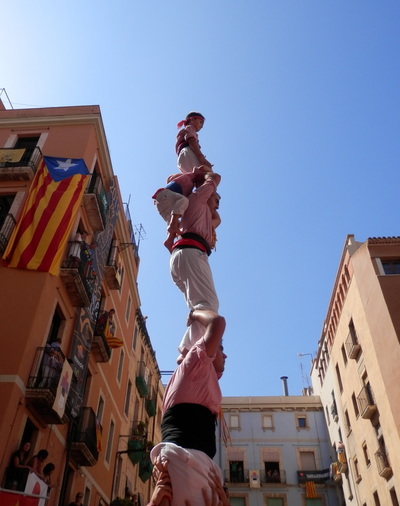 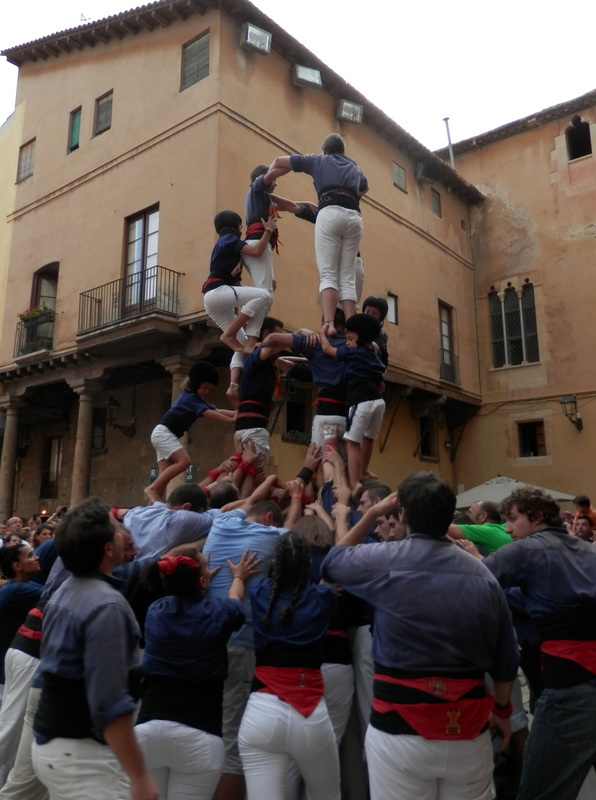 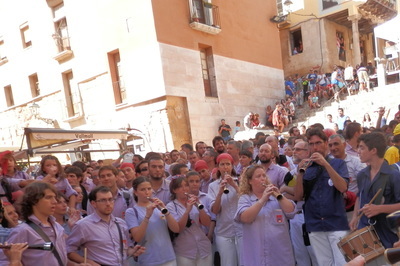 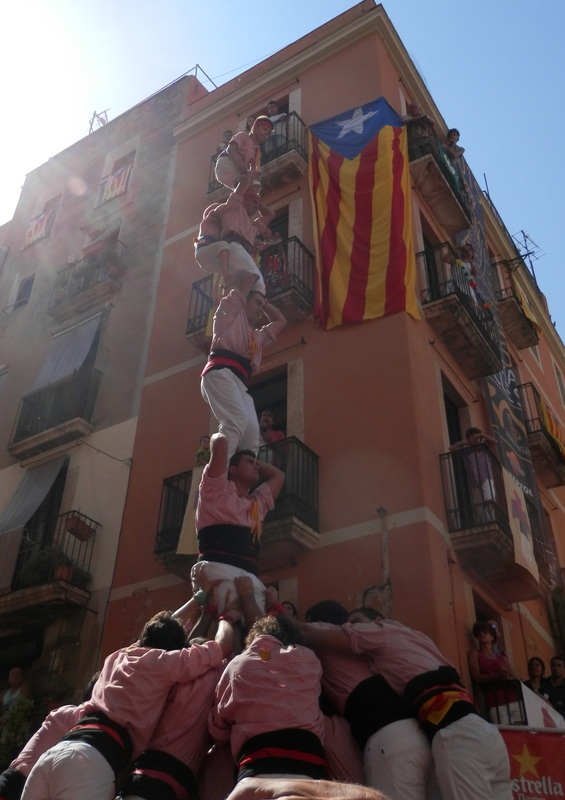 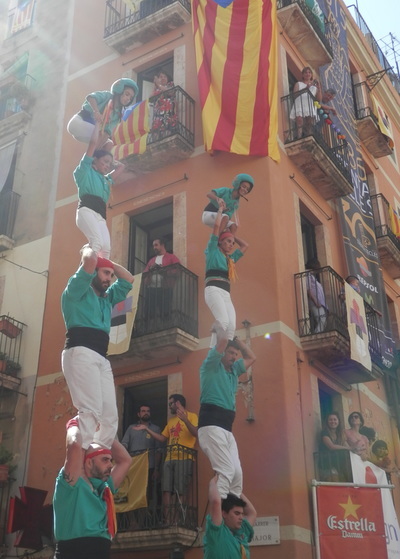 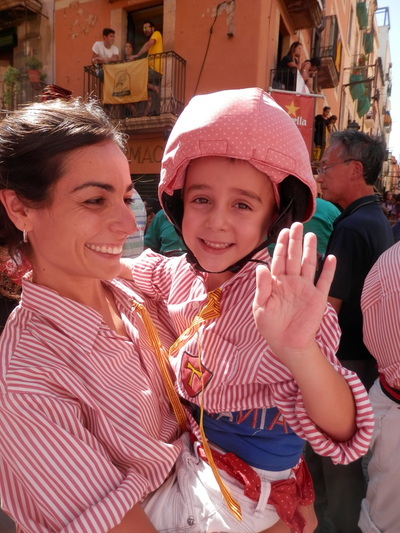 This is a tradition in Catalonia--especially in the area around Tarragona. 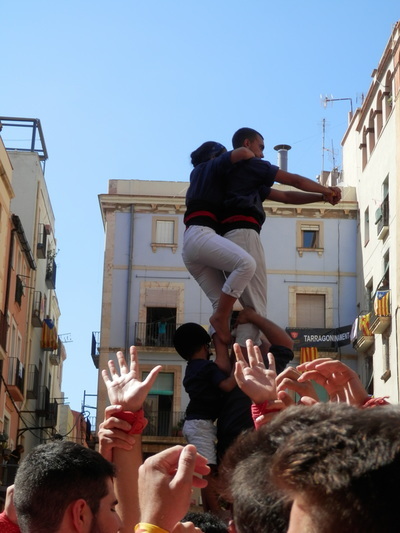 It is not an activity without danger. 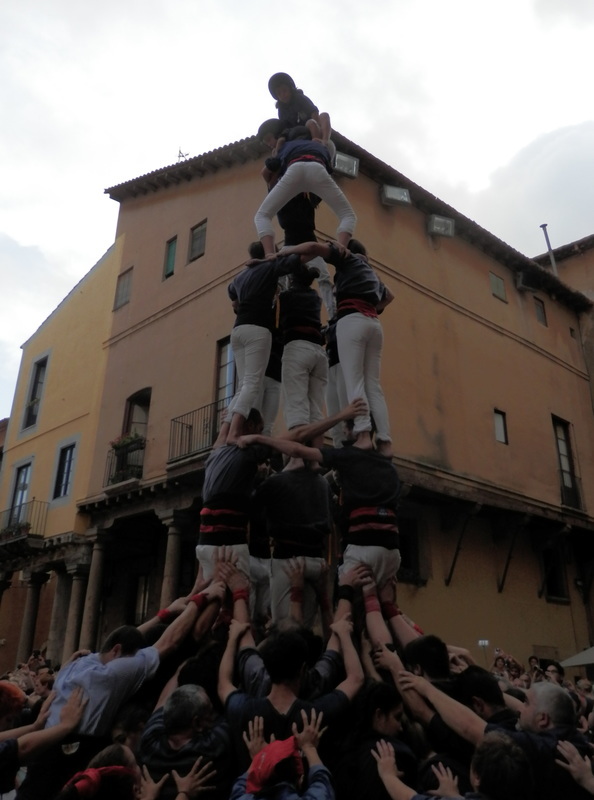 Tons of people on the bottom support the tower. The tower is completed when a small child, usually about 5, mounts to the top and holds up his hand. 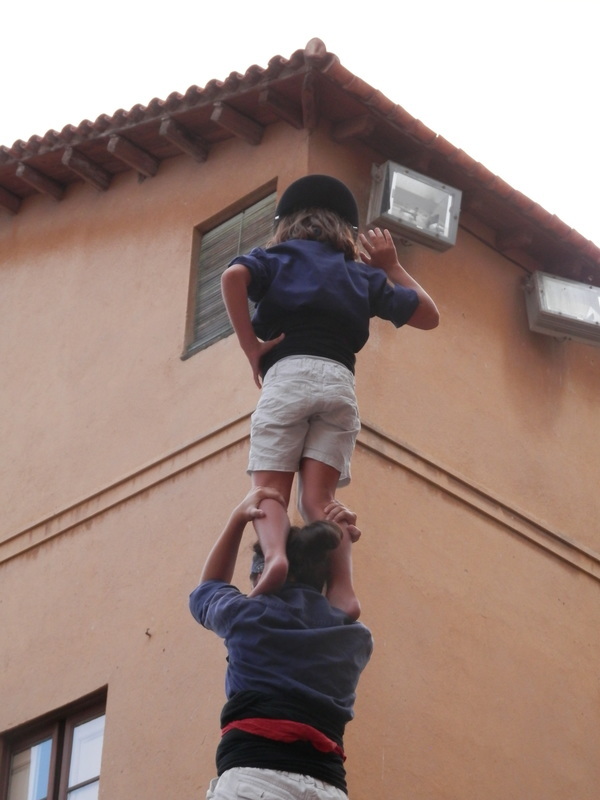 You will see one photo where the child almost lost his balance. It can be terrifying. 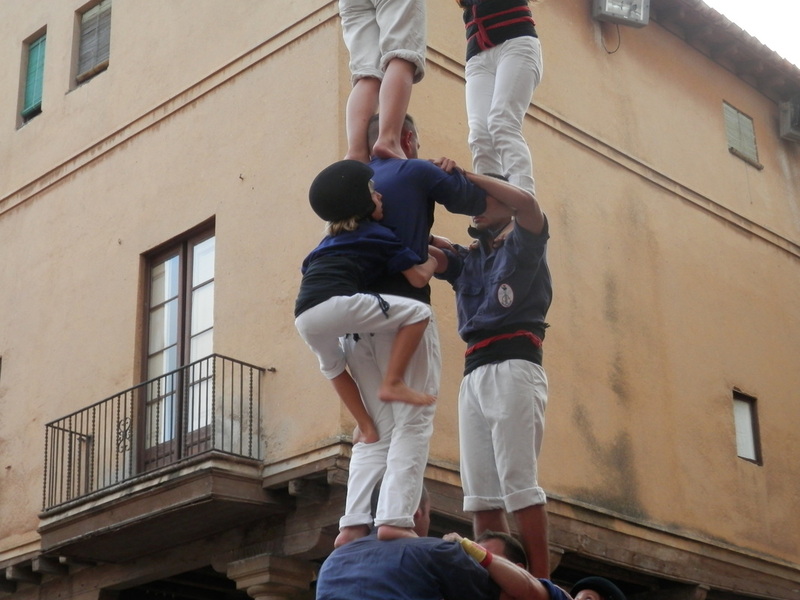 All of the small children who climb to the top must where helmets because not too long ago a girl fell and was killed. It is not something that AlteCocker would permit a child of hers to do, but it is part of the culture. 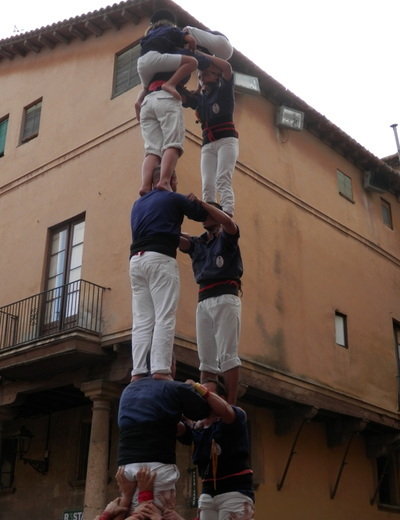 The important bit is that everyone works together. 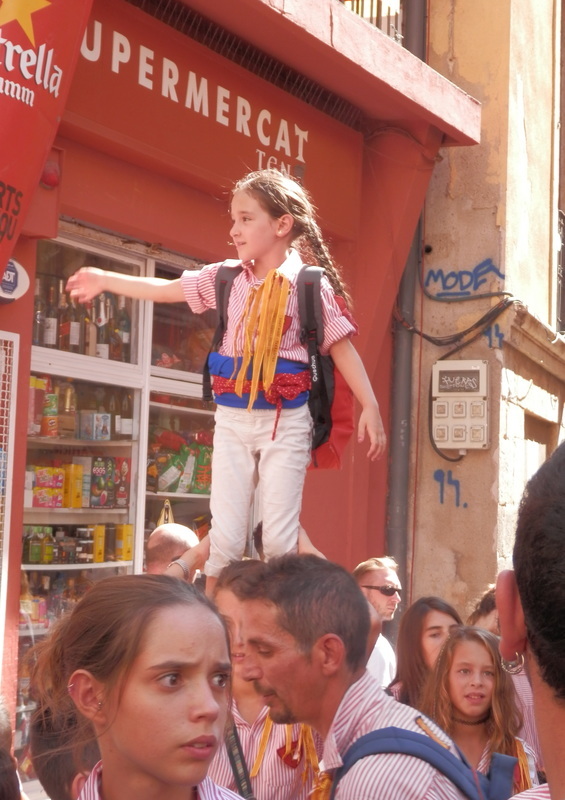 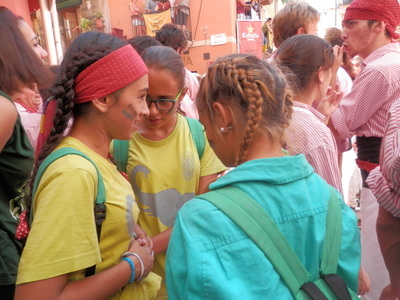 Catalonians are proud of their heritage and language (school is in Catalan in Catalonia, not Spanish). 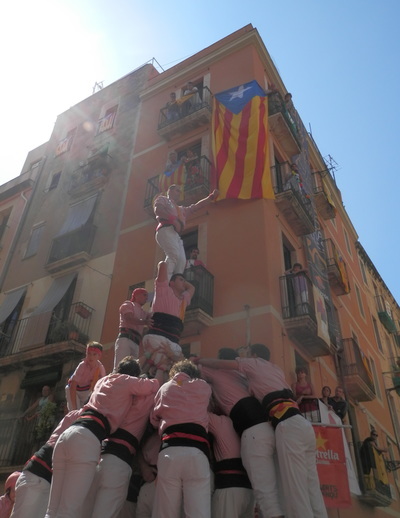 They have repeatedly been repressed and many want independence. 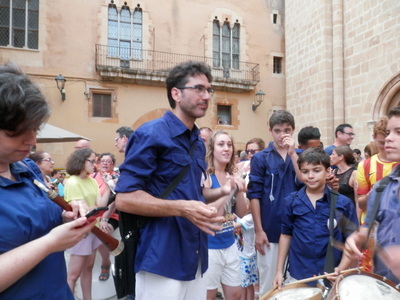 The musicians give the tower builders 'clues" in the music as what they should be doing--so AlteCocker was told. Only occasional photos will be labeled as it is self evident what is happening. 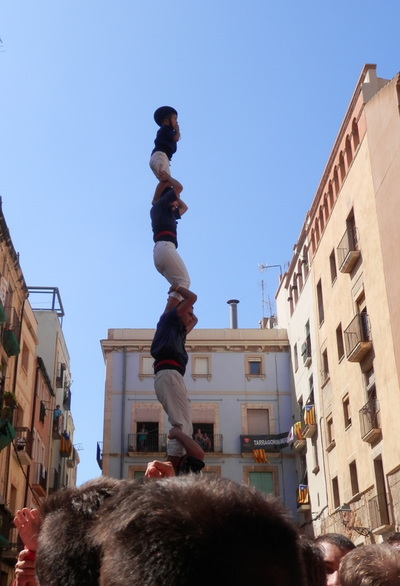 Not for the faint-hearted.